Terra Rosa CRM feels very privileged to launch our next unique community project! 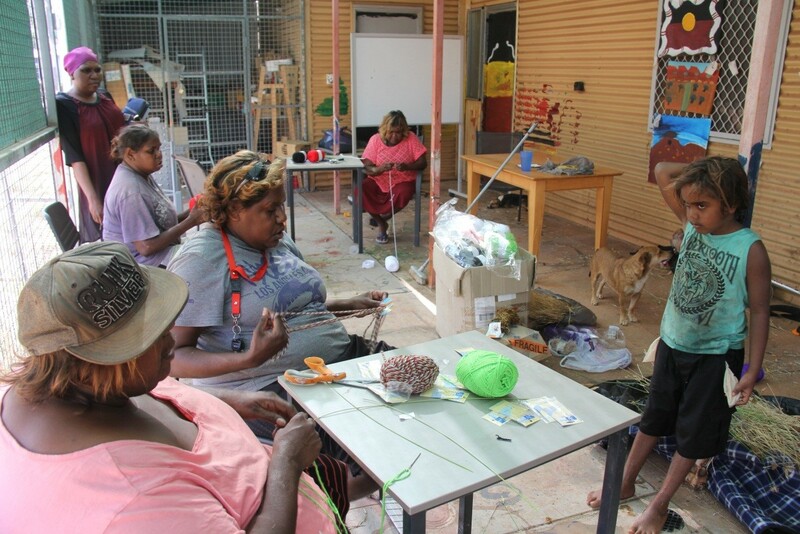 The Nullagine Development Project, in partnership with the Irrungadji Aboriginal Community, Budadee Foundation and the Ashburton Aboriginal Corporation (who manage the Remote Jobs Communities Program (RJCP) for Irrungadji) commenced its first stage of the project during a Basket Weaving Workshop last week! 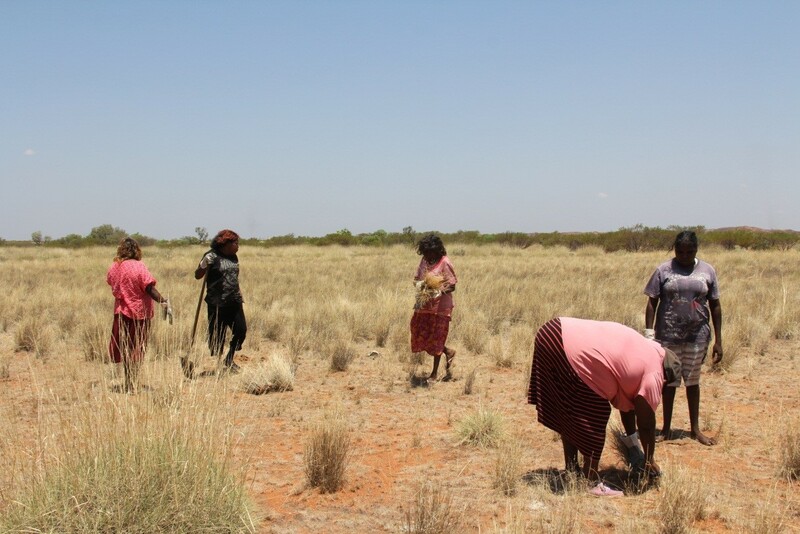 Special thanks go to Annabell Landy, the RJCP co-ordinator for the Irrungadji Community for her invaluable help in planning and facilitating the project. This project followed on from the Irrungadji painting workshop and art exhibition conducted earlier this year. 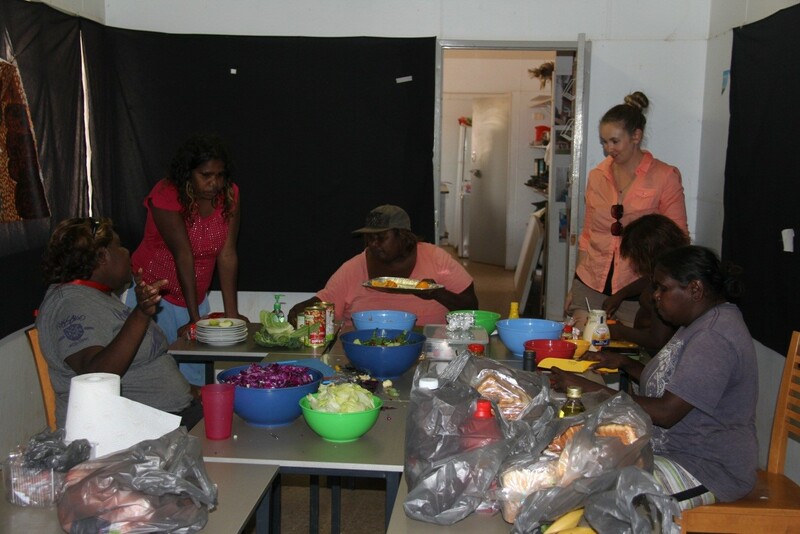 From the 17th October to the 22nd of October, two Terra Rosa CRM staff, Nell and Kirsty, travelled to Irrungadji to assist the community in facilitating an RJCP workshop. The workshop involved cultural knowledge and skills transfer between the senior ladies and the younger ladies of the community. 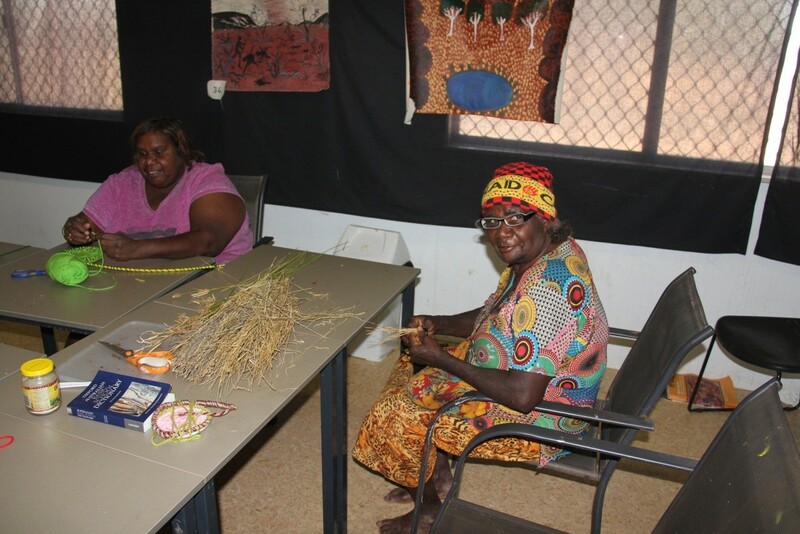 The Martu women are known for their skill in producing beautiful handmade baskets using native grasses, reeds, Spinifex and wool. These baskets are highly sought after cultural objects and are sold through the communities and art dealers such as Martu Milli. The basket weaving workshop lasted for four days and involved four teachers, up to eight students, and a large number of volunteers. 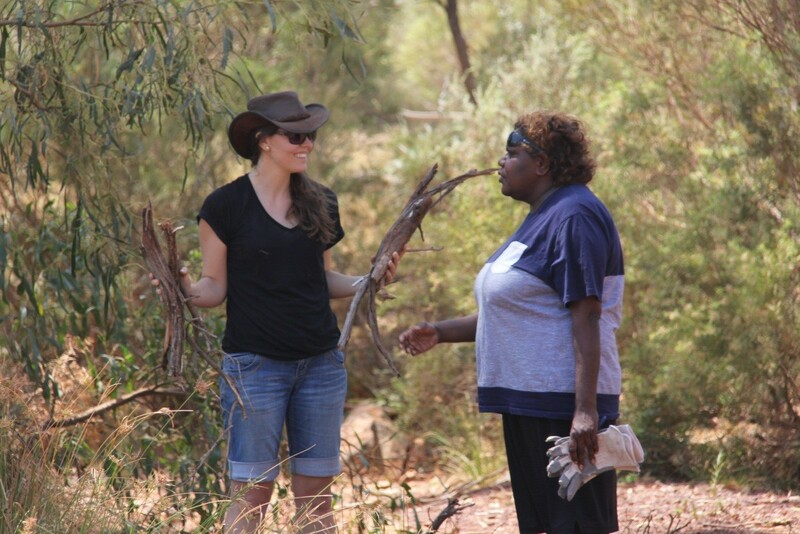 Two of the teachers, Valerie Ashwin and Julie Sailor travelled from Newman and the Jigalong Aboriginal Community respectively to participate in the project. 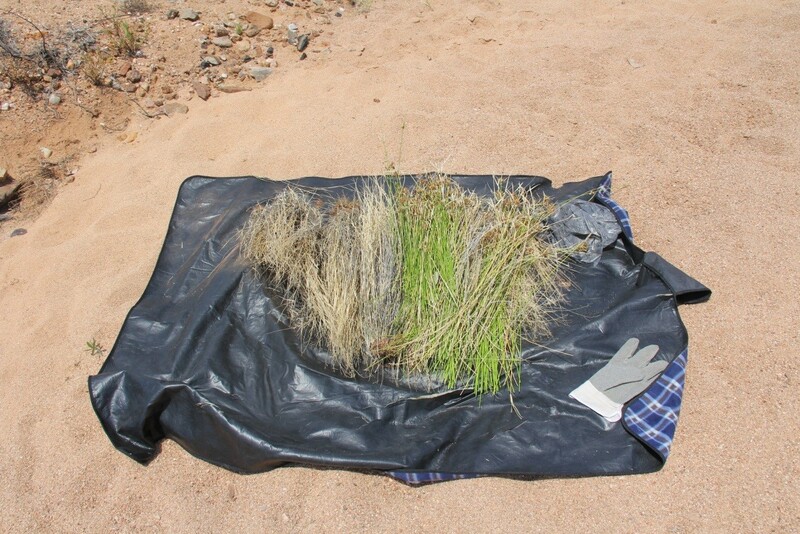 Over the four days participants learned to collect the appropriate grasses and reeds for basket weaving, as well as learning how to produce the baskets themselves. 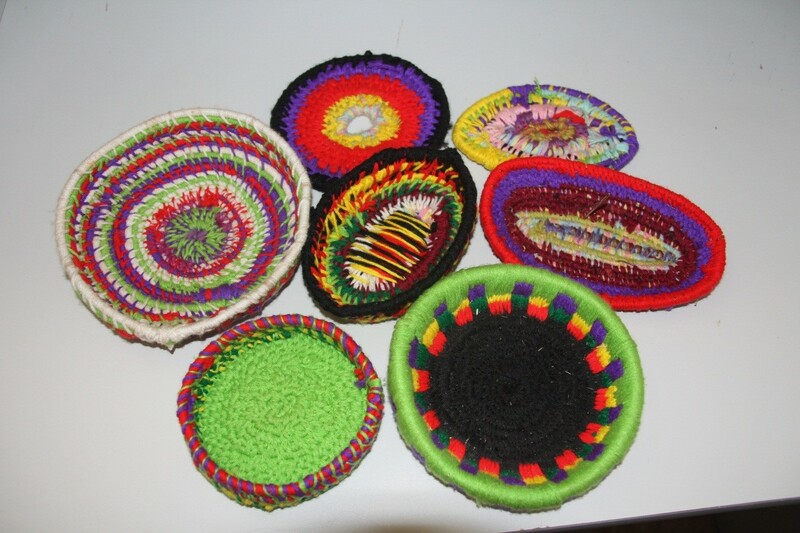 By the end of the four days several beautiful baskets had been completed. The basket weaving workshop was a resounding success. The project was so popular that a large number of additional, voluntary participants including a number of the community men and children joined in over the course of the four days. Everyone had a fantastic time and the community are keen to continue getting together at the community centre to make baskets and produce artworks. The project also generated a lot of support in the neighbouring town of Nullagine. The Conglomerate Hotel in Nullagine has kindly offered to display the baskets made by the community so that they can be viewed and purchased by tourists. 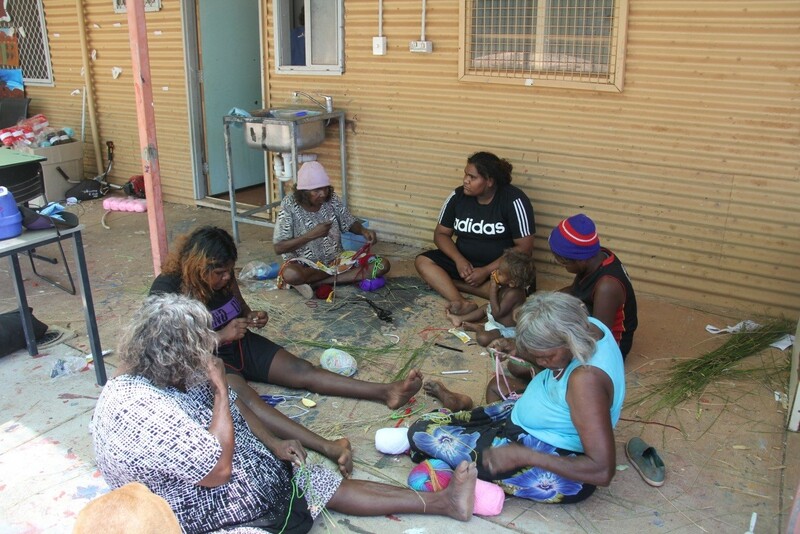 The basket weaving workshop is part of an ongoing project, instigated by the Irrungadji Community that aims to develop a sustainable cultural arts business and cultural tourism enterprise. In the coming year Terra Rosa CRM and its partners hope to continue running workshops and helping the community work towards this goal.